School's starting and to celebrate (or ease the mourning) we're GIVING AWAY a FREE Game - School Shout Out! This is the perfect opportunity to introduce your kids to Shout Out. 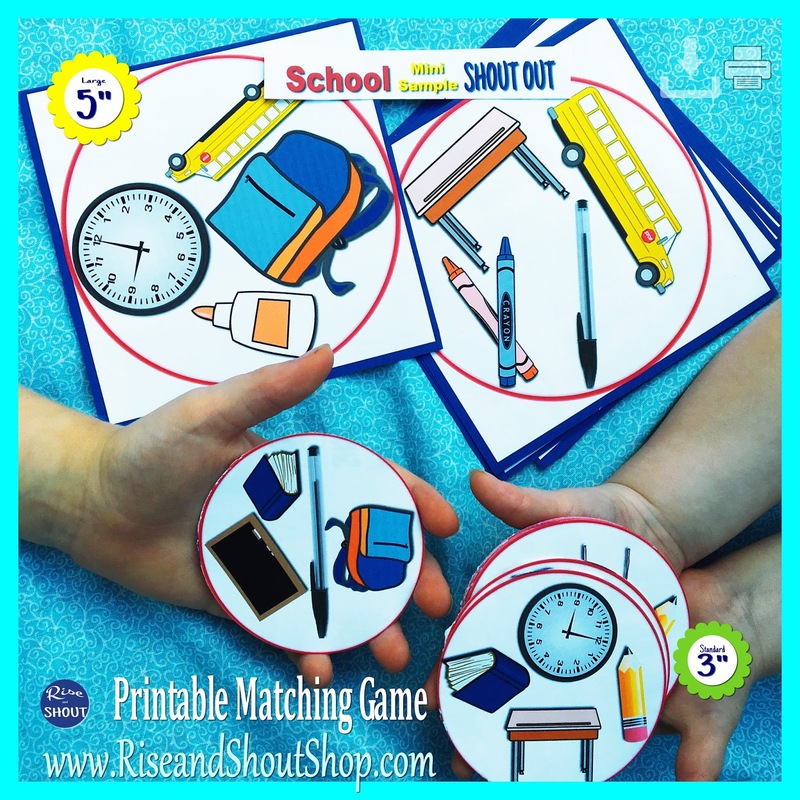 Whether you are welcoming new students to your classroom, working with a client in speech therapy or teaching ESL or a foreign language, School Shout Out is a great way to work on the vocabulary your children need to feel comfortable in school. Shout Out comes in many themes to help you learn as you play. 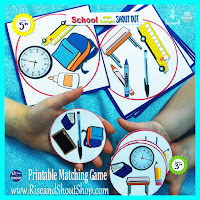 Sight Words are ideal for preschool, kindergarten and ESL. We have beginning Letter Sounds which are perfect for speech therapy (elementary, middle and high school, even geriatric patients), and young students learning their letters and sounds. Seasonal themes, hobbies, numbers and colors & shapes are all great for ESL or foreign language studies (Spanish, German, French, Chinese, Korean, Russian, etc). Holiday and birthday themes help celebrate throughout the year. Specialized themes for the LDS market and Scouting are also available. 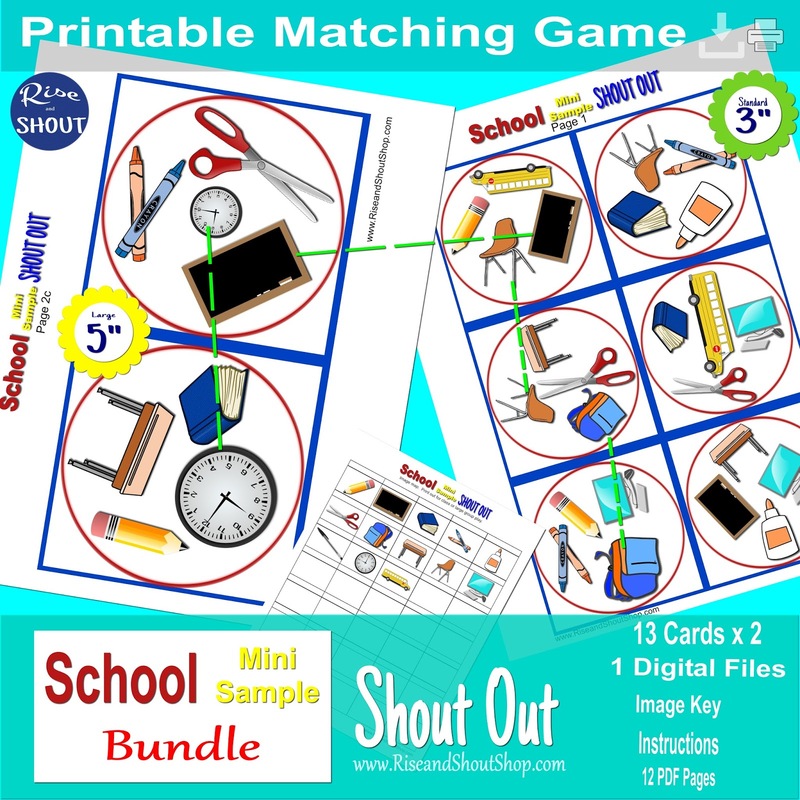 School Shout Out is a "mini sample." It comes with 13 cards with 4 cards on each card. (Standard Shout Out has 31 cards with 6 pictures per card.) Both 3" and 5" cards are included. In the Etsy store, every game theme is available in the 3" size and many are available in the 5" size. There are also discounted bundles which offer both sizes. Some people love the convenience of the 3" size. Others enjoy the larger pictures on the 5" size. For either size, you can cut the game into squares or circles. 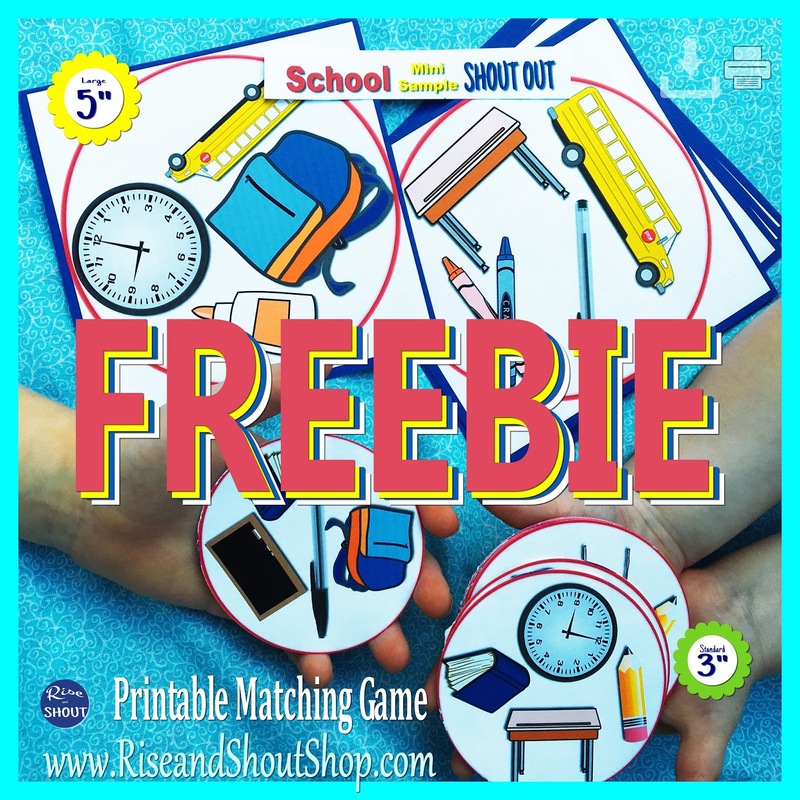 Download your mini-sample FREE School Shout Out Game here. For a discount on your next order from RiseandShout, sign up for our newsletter here.